Evergreen tree. 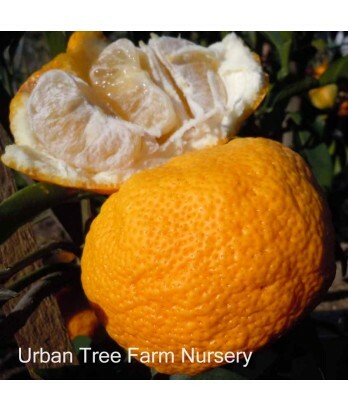 Best if protected from frost, but slightly more frost-hardy than other citrus varieties. Hybrid of sour mandarin and Ichang papeda. Fruit resembles grapefruit with an uneven surface and can be either yellow or green. Very fragrant fruit, tree has many thorns. All citrus are heavy feeders. Regular water needs in well-drained soil once established.